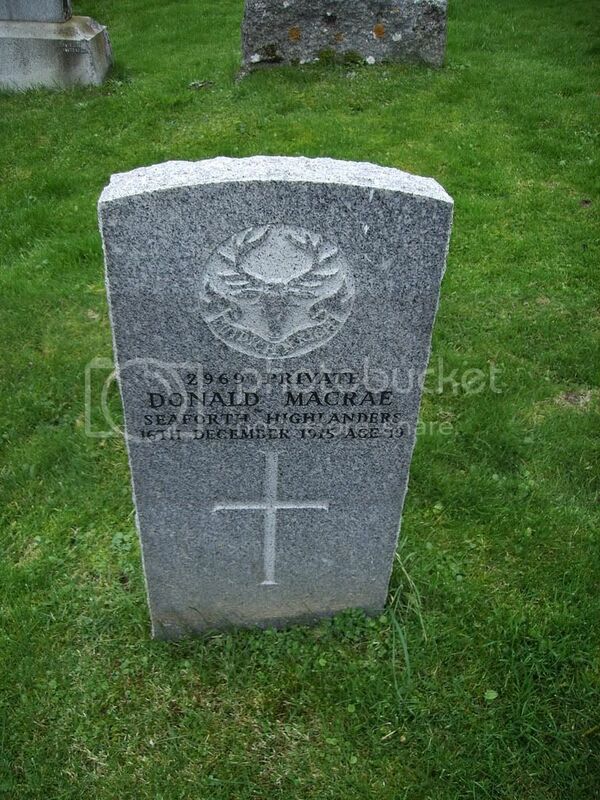 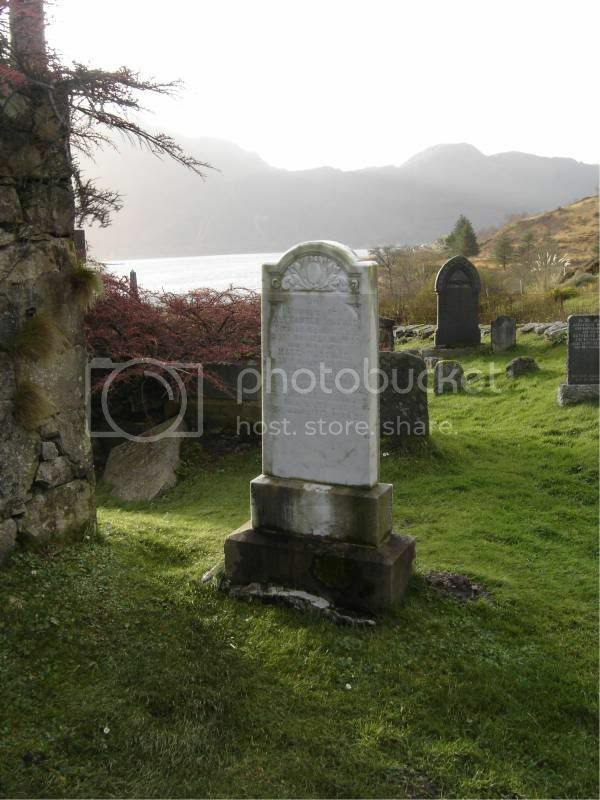 Name Rank Service Regiment Date Of Death Age Grave/Memorial Ref. 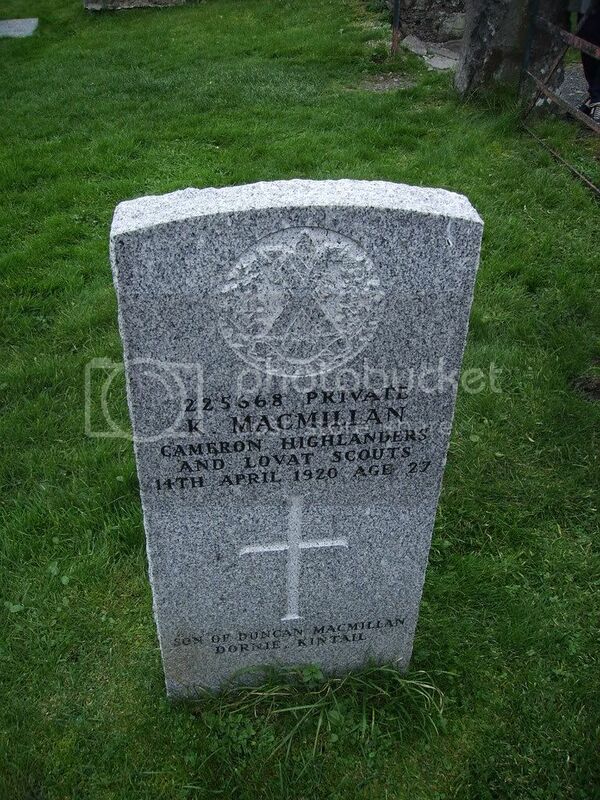 1 MacMILLAN , K Private 225668 Cameron Highlanders 14/04/1920 27 North-East of ruins. 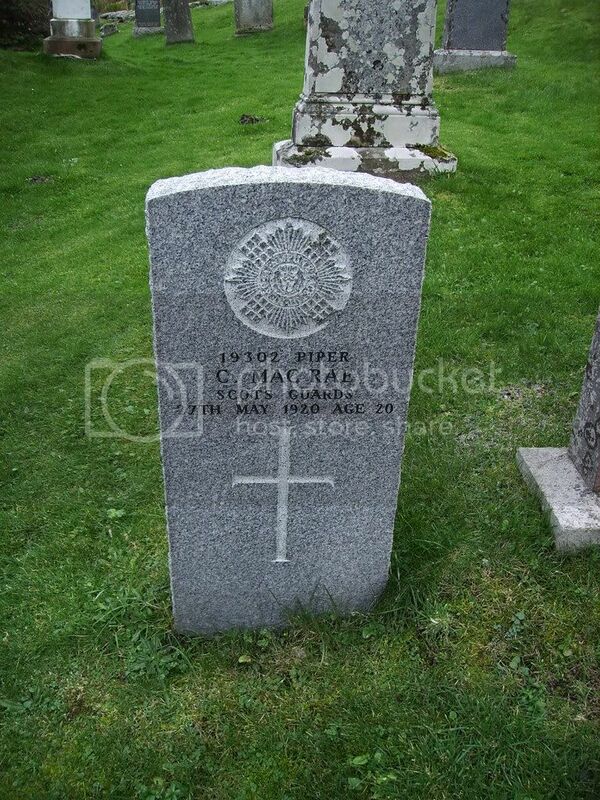 2 MacRAE, CHRISTOPHER, C Piper 19302 Scots Guards 27/05/1920 20 North of ruins. 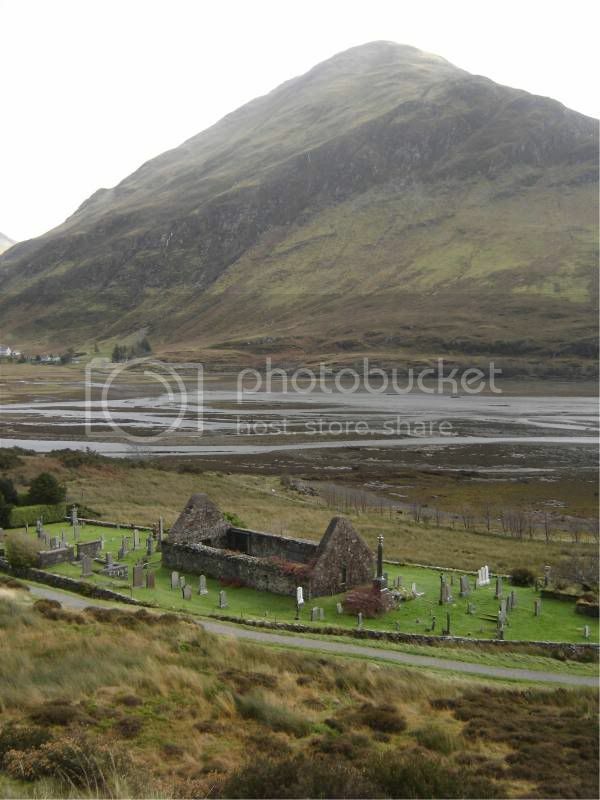 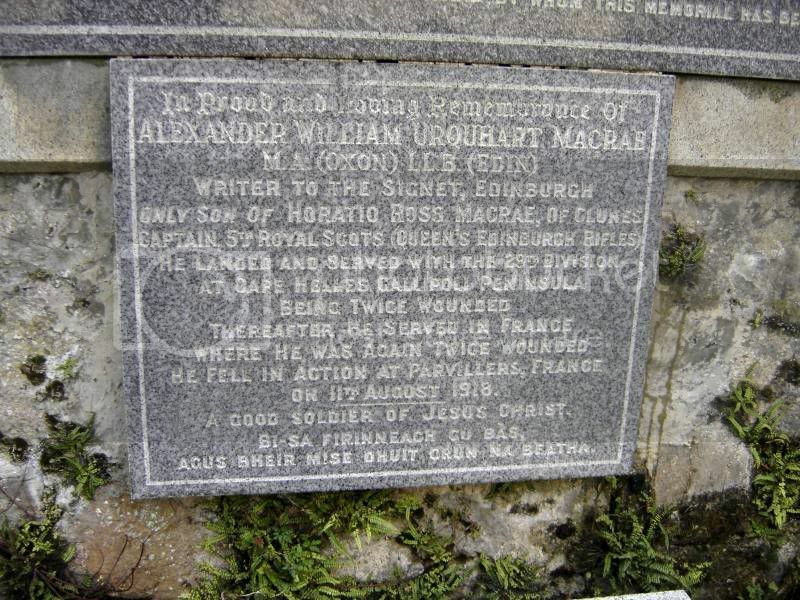 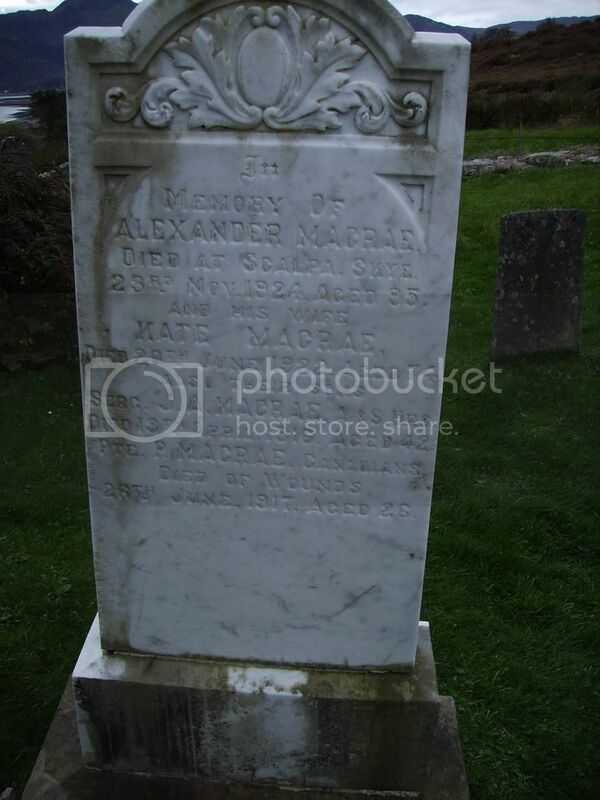 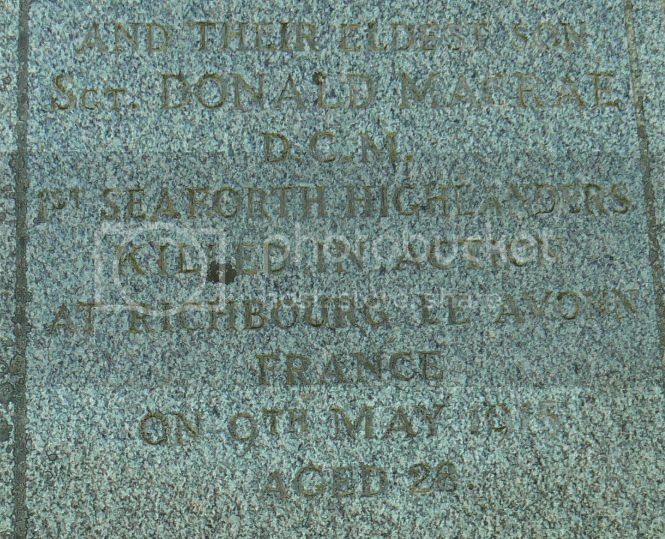 3 MacRAE, DONALD, D Private 2969 Seaforth Highlanders 16/12/1915 19 East of ruins. 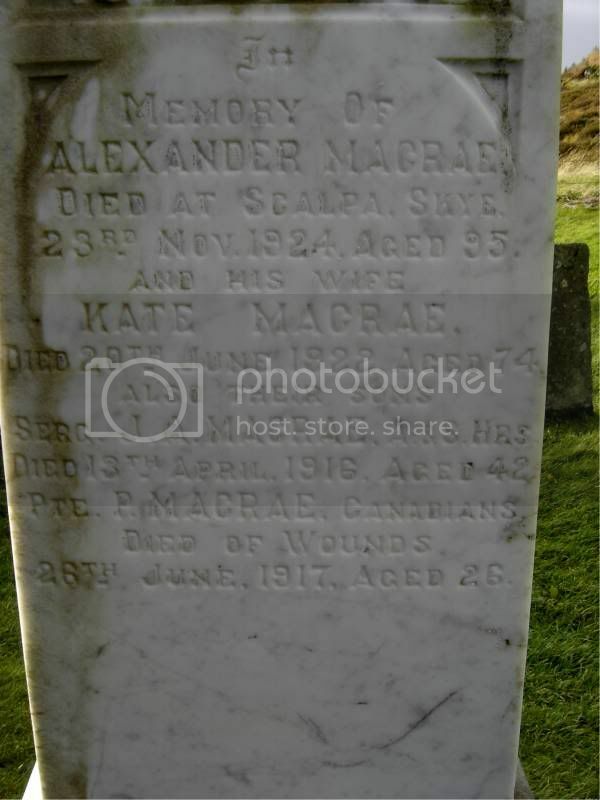 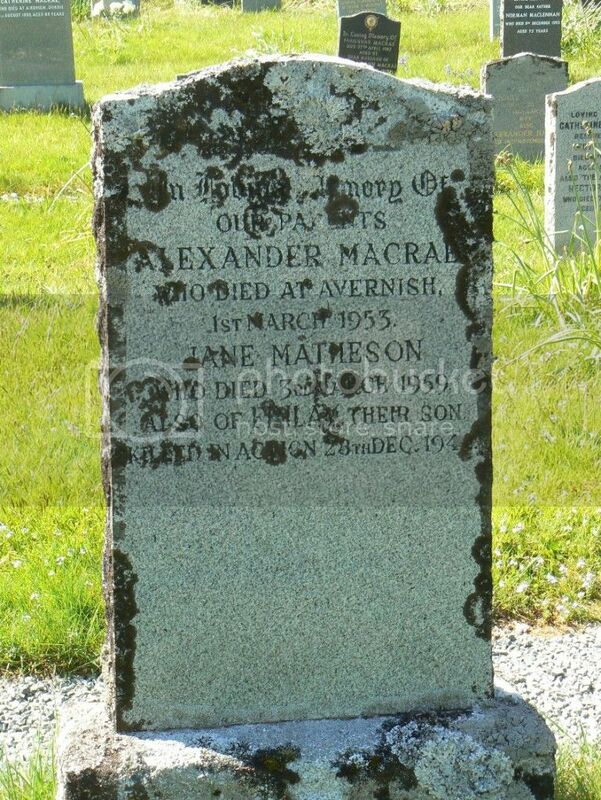 4 MACRAE , P Private 442532 Canadian Infantry (Eastern Ontario Regiment) 26/06/1917 28 North of ruins. 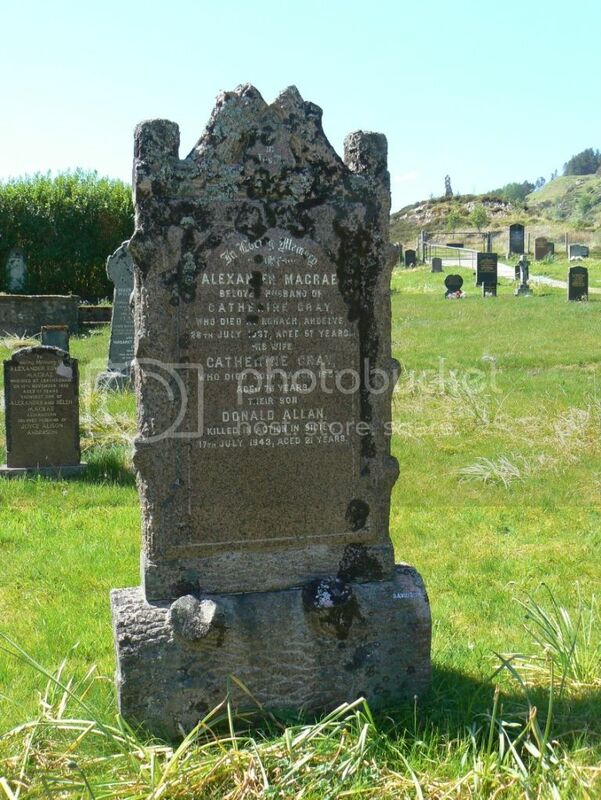 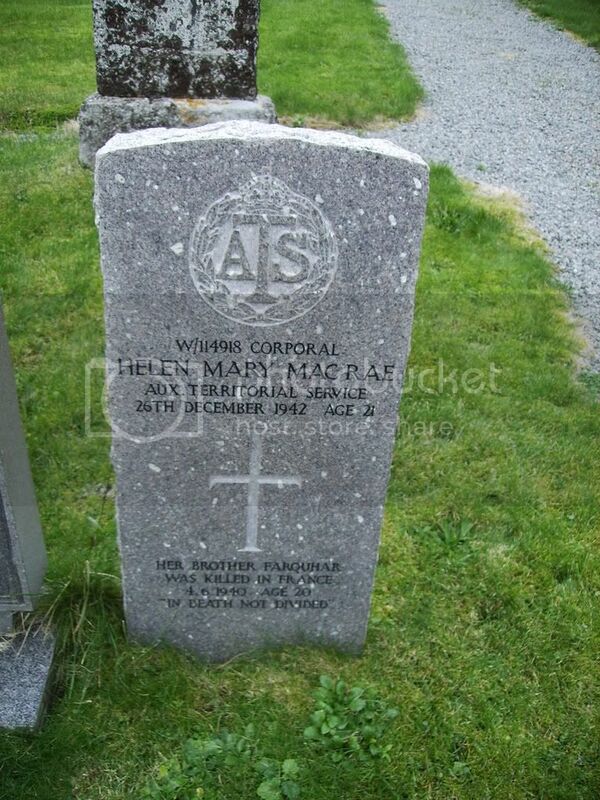 5 MacRAE, HELEN MARY, H M Corporal W/114918 Auxiliary Territorial Service 26/12/1942 21 Grave 320. 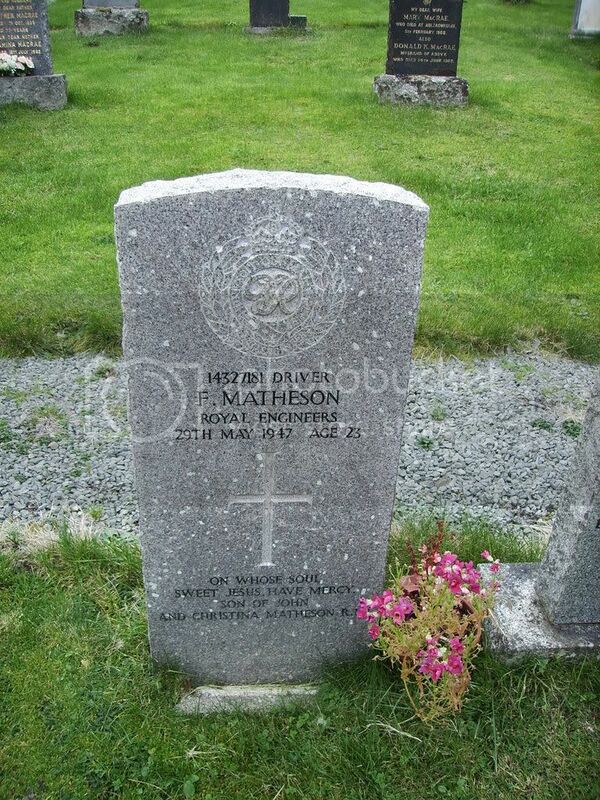 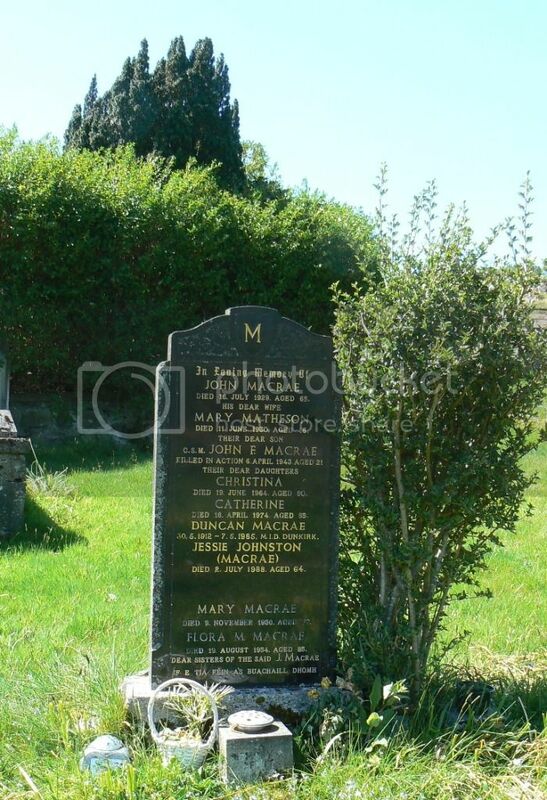 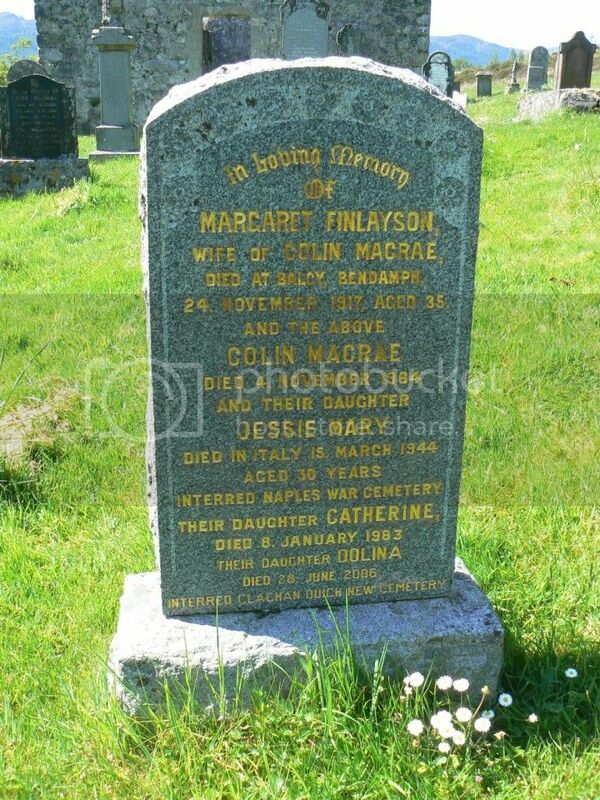 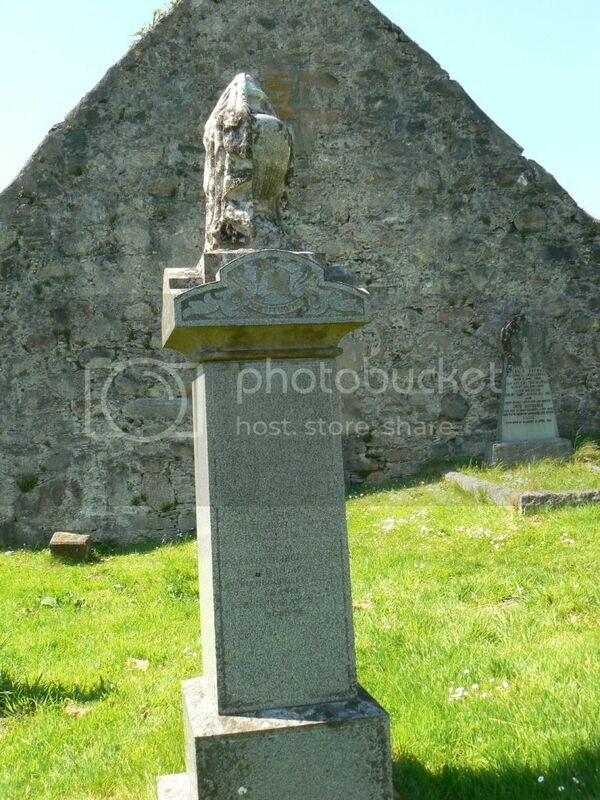 6 MATHESON, FINLAY, F Driver 14327181 Royal Engineers 29/05/1947 23 Grave 236.